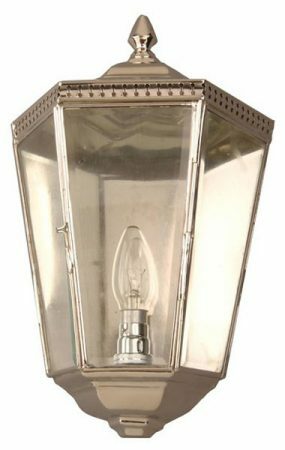 The Chelsea period outdoor passage lamp. A solid brass flush fitting Georgian replica outdoor lantern finished in nickel plate. 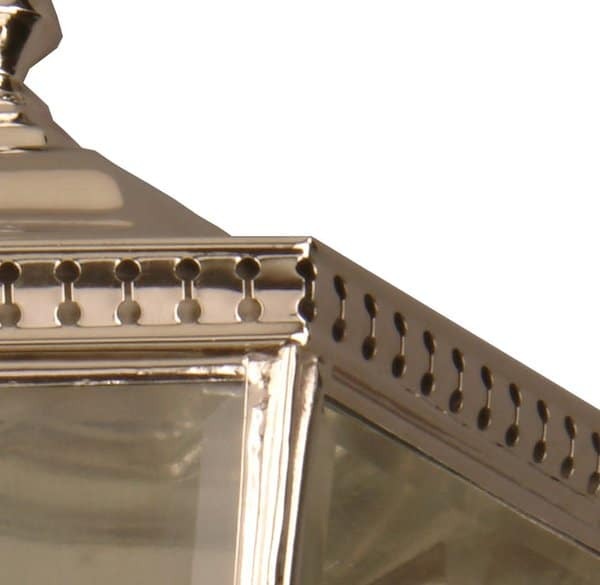 Lovely nickel plated solid brass lantern and clear beveled edge glass lantern panels, handmade to the highest standard. From our solid brass nickel plated outdoor lighting selection. Handmade in the UK and finished to order. Timeless replica lighting made to last a lifetime.